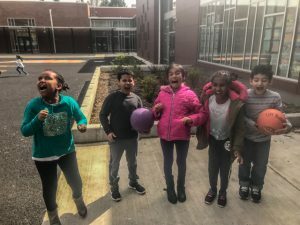 Words in a document that are all capitalized, use of the exclamation point in a text or attempting to express complete ‘joy’ in a document is a bit of a literary challenge. 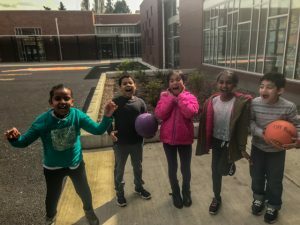 Imagine the random moment when the ELL after school program students at Olympic Hills Elementary in Lake City realized they ALL could belt out some healthy screams. Well the pictures don’t do justice. 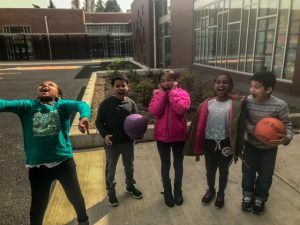 When quizzed about how they let off ‘steam’ or manage frustration in their daily school life, they all were a bit surprised in how fun and LOUD they could really be. And of course, competing to be the loudest was also part of the moment.